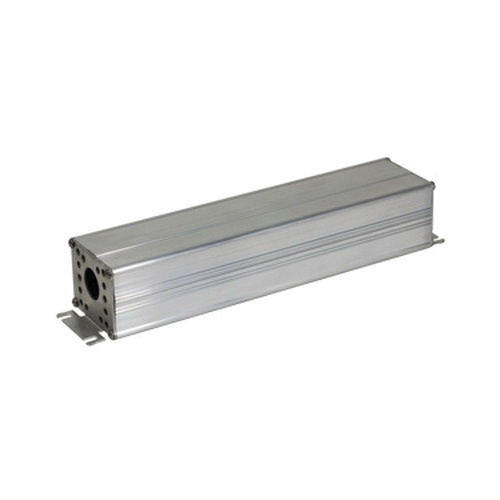 JESCO Lighting LED power supply in silver color, has aluminum construction for durability. It has an input voltage ranging from 90 to 264-Volts AC and input current rating of 1.2-Amps at 115-Volts AC, 1-Amps at 230-Volts AC. It has an output voltage rating of 24-Volts DC, output current ranging from 0 to 2.5-Amps and output power rating of 60-Watts. The power supply with 86 efficiency, measures 11.402-Inch x 2.384-Inch x 2.091-Inch. The power supply meets UL 2108, 1310 Class 2, CSA C22.2 No. 250.0, EMC Compliant to EN55022 (CISPR22) Class B, EN61000-3-2 Class A and EN61000-3-3 standards.